DAISY MAE Cookie Jar by Imperial Porcelain. From the 1950's Comic Strip Character. 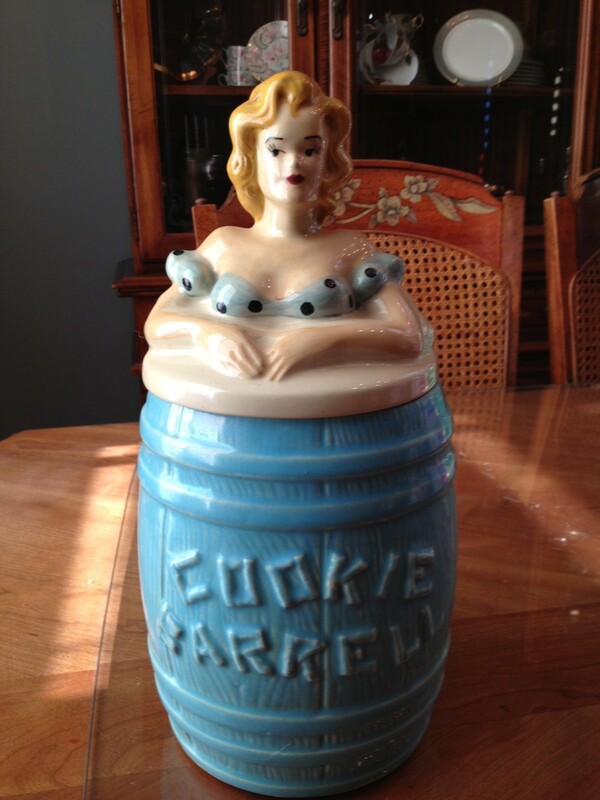 DAISY MAE Cookie Jar by Imperial Porcelain. circa 1958-60. Imperial produced this jar for Paul Webb Syndication of Li'L Abner and Daisy Mae. The jar is from a private collection and is in mint condition. Lid is marked with the copyright symbol and Daisy Mae. Peter Pan Products - Hopalong Cassidy Cookie Jar.